KANSAS -- A Park City police officer shot and killed an aggressive pit bull dog outside the city's Days Inn hotel. The animal was reported shortly before 7 a.m. Thursday by a citizen who saw it roaming around the hotel. "The officer had no recourse other than the shoot the dog because it was coming at him in an aggressive manner," said Park City Police Lieutenant Henry Spurlock. Nicole Farrell's husband, Chris, had to jump into the back of his pickup truck to get away from the animal. "He likes pit bulls, but he says this one was mean," Farrell said. Officers were not immediately able to find the dog's owner. TENNESSEE -- An accused drug dealer isn't just in trouble for the marijuana police say they found in his house, he's also been charged with a series of crimes because his pit bull bit an officer earlier this month, according to court records. 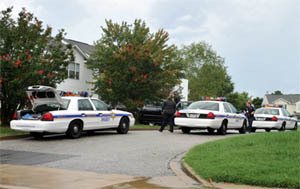 Detectives arrested Kwame Bryant outside of his home in the 1700 block of Robinhood Lane Wednesday. Officers decided to arrest Bryant outside because a detective with the department's Organized Crime Unit was bitten by a dog during a previous search of his home. The pit bull, which wasn't wearing a rabies tag, ran away from the house after biting the officer, police said. Investigators told Bryant that if the dog returned, he needed to call animal control so it could be checked for rabies, according to court records. However, when the dog was returned to him, Bryant didn't alert animal control officers, according to court documents. The pit bull was taken into custody during Wednesday's raid because it hadn't received a rabies vaccination, according to officers. Police say they found marijuana and a digital scale inside the 31-year-old's home. Bryant has been charged with marijuana possession with the intent to sell or distribute, possession of drug paraphernalia, failing to get his dog vaccinated, failing to have his dog wear a rabies tag and attempting to hide a dog suspected of having rabies. AUSTRALIA -- It wasn't until he mauled a terrified four-year-old girl to death that authorities realised Rex existed. As far as the suburban Melbourne local council knew, a 17-year-old German shepherd lived at the Lahy Street, St Albans home with Rex's owners, the Josevskis. 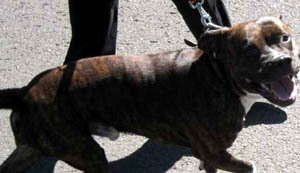 Rex, a male pit bull, was not registered with the local council, had no microchip and was not desexed. His only contact with any sort of authority figure had been an occasional visit from a mobile vet. 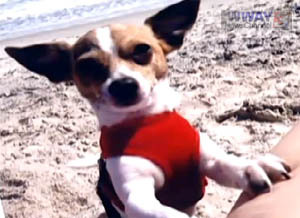 Rex was given to his owner Nick Josevski by his cousin about four years before the attack. In August last year, when Rex escaped his backyard and mauled Ayen Chol to death, registration papers still recorded that a German shepherd lived at the Josevskis' home. That dog was long dead. Had his owners made a simple paperwork change and had authorities known of Rex's existence the tragedy might never have happened. Pitbulls are classified as a restricted breed and if Rex had been registered he would have been required to be desexed and subject to strict fencing requirements. Rex would not have been able to escape through a malfunctioning roller door. An inquest in the Victorian Coroners Court this week has looked into what lessons can be learned from Ayen's death, and what could be done to prevent future attacks. Once Rex escaped the backyard, tragedy unfolded before his owners realised he was missing. On the street he growled and showed his teeth as he charged at Anglina Mayout, Achol Mawier and their children. 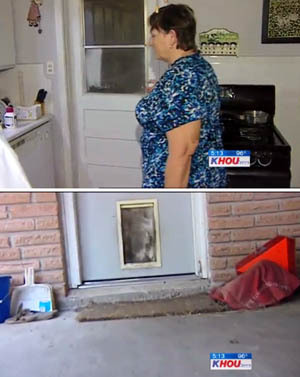 As they fled inside a house the dog followed. He attacked Ms Mayout's five-year-old daughter Nyadeng and then Ms Mayout, biting and injuring both of them. Ayen was holding onto her mother Jacklin Ancaito's leg tightly. "She was very scared and she was screaming," Ms Ancaito said in a statement tendered at the inquest. The dog then grabbed Ayen by the face and neck and pulled her away from her mother. "When the dog first grabbed my daughter I heard her scream once and I never heard her scream again," Ms Ancaito said. The dog shook Ayen from side to side and dragged her backwards into the kitchen. Ms Ancaito hit the dog and tried to pull it away, but it would not let go of Ayen. "With all the blood and the injuries, I knew my daughter was dead," she said. Ayen's death has already seen legislative change. Owners whose dogs kill someone can now face up to 10 years in prison. Under the old legislation one of Rex's owners, Lazor Josevski, was fined $11,000 for Ayen's death. The inquest has looked at whether any other changes may prevent future attacks. Council officers told the court there were only two ways they could have discovered Rex's existence - if a neighbour had alerted them to him, or if he had been discovered while walking on the street. Questions have been asked about why vet Michael Beattie visited the dog six times and did not report to authorities that the dog was in breach of the law, because it was unregistered and not desexed. Dr Beattie said he had no obligation to report the dog. "I have certainly never been informed of any legal obligation," he told the inquest. Asked if he had a moral obligation, he replied that he was not sure how to answer. John Petroro, a team leader at Brimbank City Council, in whose area the attack on Ayen took place, said mandatory reporting by vets would be welcome. He dismissed suggestions that it might discourage dog owners from going to the vet. But others, including the Australian Veterinary Association, say the proposal is unworkable. The association's Victorian president Susan Maastricht says it is simply too hard for vets to determine what is and isn't a restricted breed dog. "There is a problem in so much as the notion that we would be able to say categorically that it is a pitbull terrier," she told AAP. "There is a pretty significant amount of evidence that dogs get called all sorts of things based on physical appearance." There are fears dog owners won't go to vets if they think they'll be dobbed in to authorities, and then there are the safety concerns. She says in New Zealand, where there is compulsory reporting of animal mistreatment, vets have been threatened. The body representing pit bull owners is also against the proposal. American Pit Bull Terrier Club of Australia president Colin Muir believes authorities are using the tragedy of Ayen's death to politicise the issue and demonise the pit bull. Mr Muir also believes it would be impossible for vets to say definitively whether a dog was a pit bull or not. "There is no way that you can look at it and say this is what it is or this is what it isn't. DNA won't tell you," he said. "People assume because a vet's a vet that they've got some ability to understand what is and what isn't a particular breed of dog and I tell you they've none, they've got no idea." Both Mr Muir and Dr Maastricht agree the focus should be about educating pet owners about being responsible, rather than targeting a particular breed of dog. But the focus of the government has been on the pit bull, which is one of five restricted breeds in Victoria. Owning a restricted breed dog that was not in Victoria by September 2010 is prohibited. Government, veterinarians and pit bull owners all agree that something must be done to prevent future attacks. Just what the answer is remains unresolved. Coroner Kim Parkinson will deliver her finding at a later date. ILLINOIS -- The case of a Godfrey dog accused of multiple biting incidents, including one in May involving a young jogger, will end today. The pit bull named Precious will be euthanized today, after spending much of the past three months locked up at Madison County Animal Control. 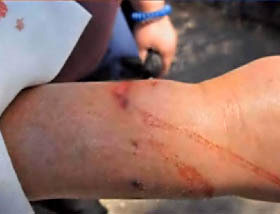 The proverbial "straw that broke the camel's back" that led to this point happened on May 23, when Malorie Vest of Godfrey claims the dog bit her on the leg while she was jogging along Delmar, leading to more than 100 stitches and a broken finger. A lawsuit filed June 1 alleges the defendants in the case, Patricia Gelzinnis, Gregory Gelzinnis and Michael McCauley of Godfrey are responsible for the dog named Precious, and claims this is the third case in which the dog has bitten someone. In one case in 2009, the suit says a woman was bitten by the dog when she visited the business Bluff City Tours, operated by Gelzinnises. Another incident mentioned dates back to 2010 when a cousin of Greg Gelzinnis was bitten by the dog, according to a report from Madison County Animal Control. OREGON -- Animal control officers took possession of a pit bull that police said attacked a woman outside of her neighbor's Beaverton home. The dog's owner told FOX 12 that his 5-year-old pit bull, Decon, had never hurt anyone before and was just trying to defend his territory. "He's good with my kids. He's around little kids all the time. He sits there and licks them. He's never, ever, violent at all," said Isaac Goodwin, the dog's owner. Beaverton police were called to Goodwin's home on Southwest Hazel Street Thursday afternoon after they said his 57-year-old neighbor had been bitten on the arm by the dog. Investigators said the woman had gone to Goodwin's home to ask them to move their car that was blocking her mailbox. "I guess the lady was here and screaming or whatever and the dog just came out," said Goodwin, who was at work when it happened. When his fiancée answered the door he said the pit bull pushed open the screen door, knocked the neighbor to the ground and then bit her on the arm. Police said the woman was treated at the scene and later taken to the hospital by a family member to seek further medical attention. 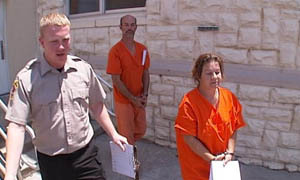 Goodwin said he had been in arguments with his neighbor in the past and she had been warned to stay off his property. Signs that say "No Trespassing" and "Beware of Dog" are clearly displayed on his front door. They know not to come over here. The cops have told them not to come over here. If there's a problem they should call the police and the police will come over here," Goodwin said. Washington County Animal Control took possession of the dog. Police said the same dog has been the subject of vicious dog complaints by neighbors in the past, but no record was found of the dog actually biting somebody prior to Thursday's incident. Goodwin believes his dog will eventually be returned to him after a 10-day observation period. OREGON -- A 57-year-old woman was bitten on the arm Thursday afternoon by a neighbor’s pit bull that had been the subject of numerous complaints, police said. Lydia Lekakh went to her neighbor’s house around 2:30 p.m. to ask them to move their car. That’s when the dog charged through the door, pushed her to the ground and bit her, said Det. Sgt. Jim Shumway of the Beaverton Police Department. Neighbors have complained about the dog being vicious but no record was found of the dog biting somebody prior to Thursday’s incident. "It's been going into our backyard and we had to run and hide behind the doors, and hope it doesn't break in because that dog is big, aggressive, and it bites," said Vedah Lekakh, the victim’s daughter. Lydia Lekakh was treated at the scene and later taken to the hospital to receive medical attention. Animal control removed the dog Thursday afternoon. NEW JERSEY -- The saga of the pit bull that bit and severely injured a woman on Belleville's Fairway Avenue in mid-August isn't over yet, but it could be Friday, Sept. 7, when the dog may be euthanized. The dog, which was remanded to the custody of the Associated Humane Societies following the attack on Aug. 18, recently underwent a 10-day evaluation period at the organization's shelter in Newark. 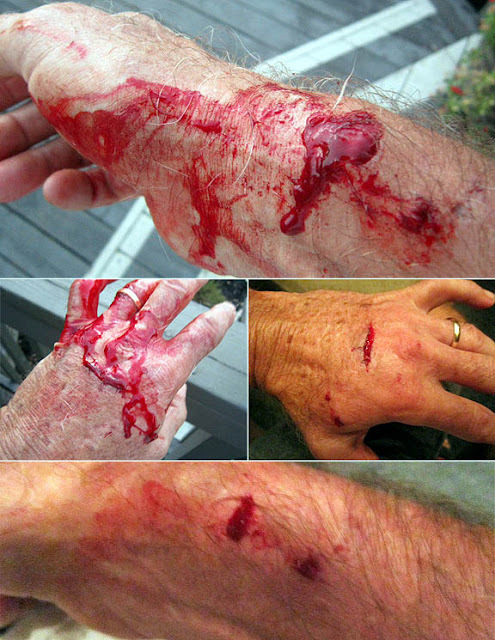 The dog bit the 50-year-old victim in the face, causing severe puncture wounds and lacerations that required stitches. Belleville emergency services took the woman, whom police would not identify, to Hackensack UMC Mountainside Hospital in Montclair, where she was released the following morning. The pit bull was believed to have also bitten another dog several weeks prior to the attack on Fairway Avenue, according to police. AHS Manager and Chief Animal Control Officer D.J. Infield said that a dog that bites can be quarantined by its owner on his/her property for 10 days following an incident, provided that its vaccinations are up to date and signed off on by a veterinarian. If the dog's shots are not up to date, the animal is brought to the shelter and quarantined for a 10-day period on the premises. If the dog checks out OK after the 10 days are up, the veterinarian will sign off and the owner can reclaim the dog. If the dog becomes sick during the quarantine period, the shelter could possibly put it to sleep. The dog's head would then be sent to the state for rabies testing. The owner of an aggressive dog could be brought to court after just one incident, depending upon the severity. Other options could include requiring installation of 10-foot-high fences around the owner's property to keep the dog from getting out, or requiring the dog to be muzzled when the owner had it out and about. 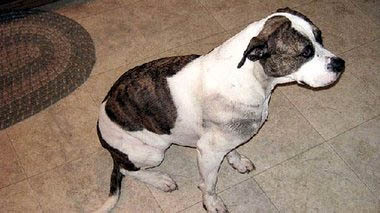 Infield had no news on Tuesday, the day the quarantine period for the Belleville pit bull ended. "I haven't heard from anyone yet," he said at the time. He also said that the dog's owners had not come to the shelter yet, and reiterated that stance on Friday. He said on Friday that a phone call had been placed to the owner, and a letter had also been sent. He added that if the owner failed to file within 10 days from the end of the observation period, the dog would be put down, probably Friday, Sept. 7. 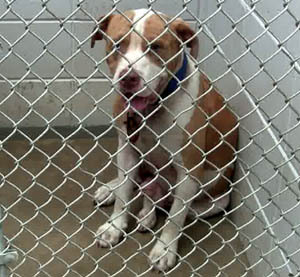 Infield said that adopting the pit bull is not an option for the shelter. "We can't adopt an aggressive dog like that," he said. 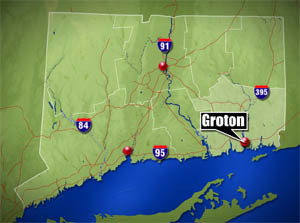 CONNECTICUT --The owner of the pit bull that attacked a 74-year-old Groton man and killed the dog he was trying to protect has given up any rights to the animal, police said Friday. Detective Cmdr. Lt. John W. Varone said the dog has been surrendered. The pit bull is being kept at the animal control facility. Ralph Conwell took his silky terrier, Lacy, out for a walk at the Calvin Burrows Field Tuesday morning and was returning to his South Road home when a neighbor's pit bull broke free from its chain and attacked them. Conwell sustained severe injuries to his arms, while Lacy died of her injuries later that day. Conwell was taken to Lawrence & Memorial Hospital, where he is listed Friday morning in good condition. Varone said the incident is still under investigation and declined to identify the pit bull's owner. FLORIDA -- A Boca Raton woman was arrested Wednesday after being accused of leaving her dog inside her car while she shopped at a supermarket. Juliana Fiorio, 20, was released from the Palm Beach County Jail this morning on her own recognizance. She is facing charges of cruelty to animals and resisting an officer without violence. A Delray Beach Police officer was dispatched to the Publix at 1538 S. Federal Hwy., at 5:02 p.m. Wednesday to reports of a dog locked in a car. When he arrived, he ran into three witnesses who said they were concerned about the dog; one even said she almost “broke the window when she saw the windows were rolled up” with the car not running. The officer noticed that inside the car was a Boxer that was “clearly” in distress from the heat. It was 84 degrees outside, the officer noted in the arrest report. As he stood by the car, the officer noticed its lights flashed as if someone were deactivating the alarm. Fiorio, the dog's owner, had walked through the parking lot, unlocking the door with a remote. She walked past the officer as if nothing was wrong. The officer asked if the car was hers. The officer then asked Fiorio to turn on her car for the dog. "I don't have to listen to you," Fiorio said. The officer explained he was investigating several reports that she left the dog in hot car with the windows rolled up, noting that 20 minutes had passed since he had gotten the first report. "The dog's fine," she said, refusing to give her I.D. "I don't have to give you my ID." The officer asked for her ID again, but Fiorio said she was going to "tape" the officer and "call her mother." As Fiorio called her mother, she handed the officer her license. But when another officer showed up, Fiorio walked up the first officer and grabbed her license out of his hand, quickly turning away. Police slapped handcuffs on her and put her in the back of the car. She "showed no remorse," the officer wrote in a report. The dog was turned over to Fiorio’s mother. At the police department, detectives asked Fiorio if she had anything sharp on her. According to a report, Fiorio said she "wished she had her blade on her." Fiorio was released from Palm Beach County Jail at 1 a.m. Thursday. 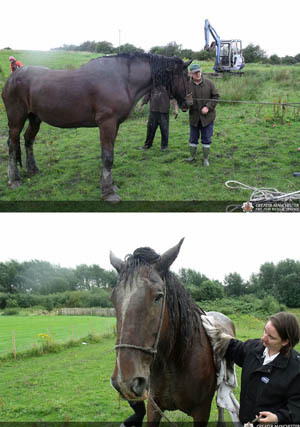 UNITED KINGDOM -- Elderly shire horse Jeremy, who nearly drowned in a pond in England on Wednesday, had his donkey mate, Misty, nearby throughout the ordeal. 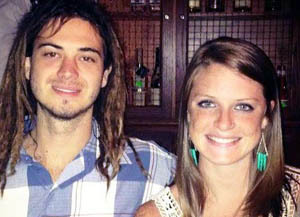 She never left his side, firefighters report. Greater Manchester Fire and Rescue Service came to the aid of Jeremy, 27, who was bogged in the pond for three hours before being pulled free. 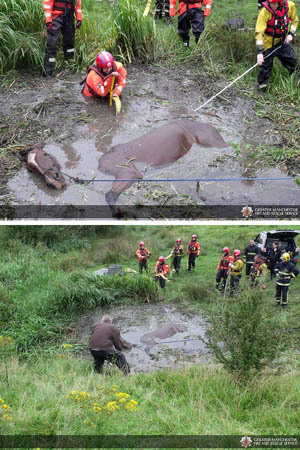 Firefighters from Broughton and Heywood found the one-tonne gelding up to his neck in the pond at Scotson Fold Farm in Radcliffe. 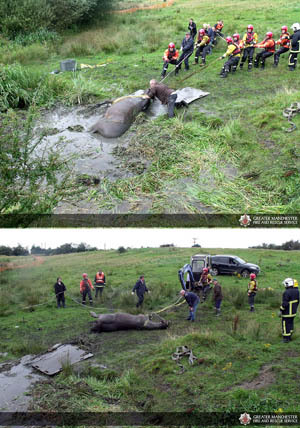 Greater Manchester Fire and Rescue’s specialist Water Incident Unit used their animal training to rescue Jeremy, and were assisted by the RSPCA. Jeremy was stuck in the pond from 9am for more than three hours before being hauled to safety. Looking on were Jeremy’s owners, Jenny and Jayen Renshaw, and his best friend, Misty. Jayen said: “I stood back I can’t handle seeing him being moved around, it was a close call. The vet gave him a lot of antibiotics and stuff to calm him down. He’s an old guy – he’s 27 years old. Station Manager, Kevin O’Connor said Jeremy was up to his neck in water and suffering from hypothermia. “It kept trying to spin in the water every time we got ready to pull it up, it would turn round. It was very close to dying, but the donkey never left its side. 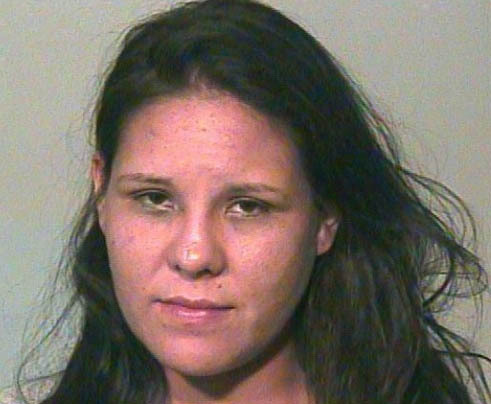 OKLAHOMA -- A woman accused of animal cruelty turns herself in. 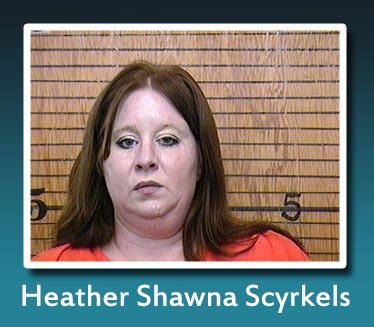 Prosecutors charged Heather Scyrkels (aka Heather Shawn Scyrkels, Heather Shawna Scyrkels) with animal cruelty after investigators found a dead horse and two dozen others emaciated on her land. Court records show Scyrkels' blamed the animal's conditions on recent hardships, but one vet says the horses didn't get that way overnight. Scrykels is currently out on bond. OHIO -- Was it an act of compassion or cruelty? Some residents of Avon are outraged by the way a police officer handled a situation involving an injured turtle. Avon Police Chief Richard Bosley told Fox 8 News that someone called the department on Aug. 28 to report a turtle on the side of the road that had been hit by a car. An officer responded to the scene at the intersection of Detroit and Case, where the Chief said he found a turtle that was badly injured and was beyond rehabilitation. Chief Bosley CLAIMS the officer felt the animal was in pain and needed to be put out of its misery, so he shot it three times. “In those situations, we do leave it up to the discretion of the officer. I know they’re not vets, they’re not doctors, but sometimes they do have to make those decisions on the side of the road, of, is this animal beyond help? And in that case, he felt that it was,” Chief Bosley explained. The chief said with residential ponds and growing development in the area, roaming wildlife is common, and the officer acted within protocol. But some nearby residents say those actions were extreme. “It would have been better to take the animal to the vet,” said Lorain County resident Gloria Lowe. Chief Bosley said the department does work with a handful of area vets and wildlife centers, but on a case by case basis. MARYLAND -- A Fruitland man is now facing charges after police say he left his dog in a hot car Tuesday. A deputy from the Wicomico County Sheriff's Office responded to the parking lot of Wor-Wic Community College just after 10:30 a.m. for reports of a dog in an enclosed vehicle. The deputy found the dog in the car without access to fresh air or water. Witnesses reported that he had been inside for at least 20 minutes and the dog appeared to be in distress. While the deputy was trying to assist the dog, its owner, Christopher Littleton returned. Littleton was placed under arrest for leaving the dog locked in the vehicle on a hot day when the air temperature had already reached 86 degrees. Littleton was charged with animal cruelty and released on personal recognizance. ARKANSAS -- Detectives with the White County Sheriff's Department have located a woman and more than 25 dogs they were looking for earlier this week. Cpl Steve Hernandez says detectives made contact with Lisa Burnett, 23, on Thursday. According to detectives Burnett handed over custody of the animals to a local veterinarian for treatment. Investigators say Burnett will still face charges of up to 25 counts of misdemeanor animal cruelty given the condition of the dogs, which authorities said are suffering from severe malnutrition and mange. WEDNESDAY AUG 29 - Investigators have charged a White County woman with 25 counts of animal cruelty but found something unexpected when they arrived at her home Wednesday. Empty bags of dog food. Trash everywhere, covered with animal waste. White County detectives this afternoon converging on a house 126 Crystal Creek Road west of Searcy. They found dog chains, cages, a few chickens, but no dogs. "We're very active about pursuing people who are treating animals in a cruel way and right now we're wanting to make sure these dogs are being taken care of in a way they're supposed to be taken care of," Cpl Steve Hernandez says. Investigators believe there were several dogs in the pens yesterday because a detective saw them. Where they're at now, that's the big question. "Through an investigation, if we're going to come out and actually get the animals ourselves, we've never showed up and within 24 hours, 25 dogs are gone," Hernandez says. Now investigators want to find Lisa Burnett. Detectives say the 23-yea old was arrested and convicted of misdemeanor animal cruelty three years ago. 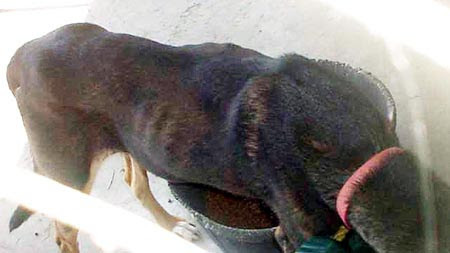 Now she's under investigation again after detectives picked up an anonymous tip of dogs not getting enough food and suffering in poor health. "Right now, we don’t know if she is trying to do the right thing and take care of the dogs or she is trying to hide the dogs from us and continue what she was doing," Hernandez says. The goal now, find her and the dogs alive. Detectives say Burnett could face an additional charge of hindering an investigation if its learned she is intentionally concealing the location of the dogs. PENNSYLVANIA -- Hampden Township police say a seven-year-old girl was brutally attacked at random by a pair of dogs who had been let outside off their leashes Tuesday night. The girl was walking through her own neighborhood on Mendenhall Drive with her grandfather when two American bulldog terriers escaped their yard, ran up to the child and knocked her to the ground, causing a severe injury to her left leg, police said. The girl was rushed to Holy Spirit Hospital for emergency surgery. Police said she is expected to survive. Officers seized the dogs and took them to the Humane Society of Harrisburg Area to be quarantined for 10 days. They will be examined by a veterinarian and the state dog warden, who will then decide whether the dogs should be euthanized. Police said the owners, who are cooperating with the investigation, may also face summary charges for allowing their dogs to run loose without a leash. They could face fines of up to $600. MARYLAND -- On Sunday, Aug. 26 around 1 p.m., police and rescue crews responded to the 22000 blk of St. Leonard’s Circle in Great Mills for report of traumatic injuries as a result of a dog bite. Crews arrived on scene to discover two children had been attacked by four Pit Bulls running at large. 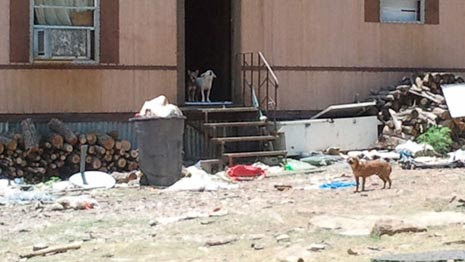 The dogs were described as three juveniles and one adult female. One patient was transported to MedStar St. Mary’s Hospital with non-life threatening injuries. A second patient was treated on the scene. Preliminary investigation revealed the gate to the dog’s residence may have been blown open during the storm. Animal Control responded to the scene. Charges are expected against the dog owner. KENTUCKY -- A 59-year old woman who lives in an assisted adult care home because of her special needs is in the hospital after being mauled by a pit bull. She couldn't hear the dog coming or even form the words to say help. Tony Simpson, who witnessed the attack, tells WDRB News, "I've never never seen nothing like that." 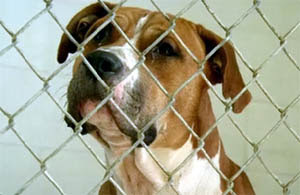 The two-year-old pit bull named Rambo sits quarantined in a steel cage at the Breckinridge County Animal Shelter. 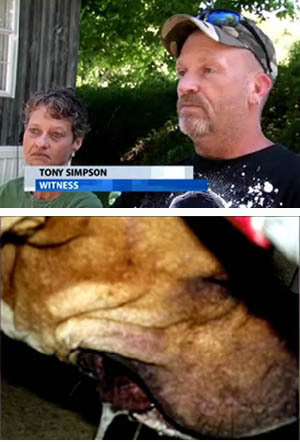 Stacey Lucas and her fiance Tony Simpson say the last time they saw the dog in Cloverport, it was trying to tear Shirley Sturgeon apart. Simpson says, "The dog was literally just eating the woman. He was not just biting her. He was tearing her meat off and swallowing it." Shirley Sturgeon lives at Breckinridge Manor. She is deaf and mute and was walking down a road Saturday on the way to a friend's house. It was just about a block from her home that Rambo attacked as she walked up the road. "I said, 'Honey come up here, they got her down,'" Lucas told WDRB News. She heard groans and became the voice Sturgeon didn't have. Simpson came with a bat and his nephew brought a machete. They eventually scared the dog off, though the damage was done. "I wasn't expecting to see an arm missing practically," Simpson says. "I've never every seen nothing like that." Sturgeon remains in fair condition at University Hospital. Police say she will have several surgeries to save her right arm. The dog is on death row being observed for ten days for signs of rabies. Animal Control Officer Tommy Matthews explains, "In this particular incident the owner has surrendered the dog to the shelter, and according to our policy we do not adopt or re-home animals that have bitten or attacked. So after that ten days the dog will most likely be euthanized." WDRB's Gilbert Corsey tracked down the dog's owner. 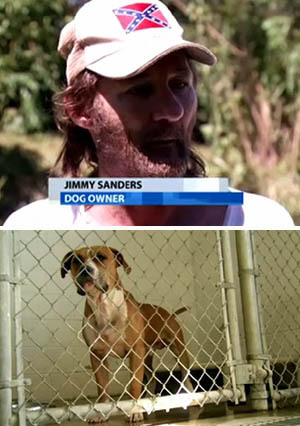 Jimmy Sanders faces misdemeanor citations for harboring a vicious animal and permitting it to run at large. He says, "I'm so sorry. I wish it wouldn't have happened. I've never had a dog do anything like that and I'll do anything I can to help her out." Sanders went on to say that the dog was tethered and broke off its post. He's due in court Next Tuesday. Sturgeon's family was not available for comment. TEXAS -- A postal worker is recovering after she was attacked by a pit bull as she delivered mail on Tuesday. Beaumont Animal Services and Beaumont EMS were called to at 1465 Irma in Beaumont's south end. When officers got to the house, the postal worker was being treated by medics for multiple punctures and lacerations to her hands, legs, torso and face. The postal worker was later taken to Christus Hospital St. Elizabeth. Investigators say it appears the dog broke free of a chain while the mail carrier was delivering mail to the house. The dog was apprehended by Animal Services and taken to the Animal Shelter for a 10 day Quarantine. The case is still being investigated to determine if the dog will be declared a dangerous dog. TEXAS -- For the second time in three weeks, a Deer Park family has been victimized by a canine home invasion. The latest case happened Monday night in Deer Park. Darlene Trahan says she was cooking dinner with her 4-year-old grandson at her side when she heard a sound at the back door. Upon investigating, she says she found one of her neighbor’s pit bulls in her utility room. It had come in through the doggie door. "He was growling," said Trahan. "I shut the door and went back in the kitchen. I wasn’t going to deal with it." 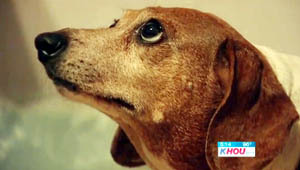 The first time it happened, the couple’s 11-year-old dachshund was attacked and required more than $1,000 in vet care. The Trahans want something done about their neighbor’s pit bulls. "The city says they can’t do nothing about it," said Mike Trahan. "Bureaucratic bull crap I guess." Deer Park’s City Manager says the owner, Jason Colvin, has been fined $150. The city also deemed one of his dogs dangerous, requiring it to be restrained or in a secured enclosure. Colvin must now carry $100,000 in liability insurance. After the first incident, Colvin defended his pets. "They’re people dogs," said Colvin. "They’re friendly. "They’re going to go into your house." Mike Trahan says if the pit bulls go into his house again, they’ll be dead dogs. CALIFORNIA -- A 6-year-old girl who was attacked by two pit bulls at a University of California at Berkeley housing complex in Albany last week has been released from the hospital, a UC Berkeley police captain said. Last Thursday, the girl and her younger brother were playing at a community garden at the University Village, located on West End Way in Albany, when they walked through an adjacent soccer field to use the bathrooms just before 8 p.m., UC Berkeley police Capt. Steve Roderick said. As the young children crossed the soccer field, two off-leash pit bulls approached them, and both bit the little girl, Roderick said. People at the soccer field helped separate the dogs from the girl, and she was taken to Children's Hospital and Research Center in Oakland. 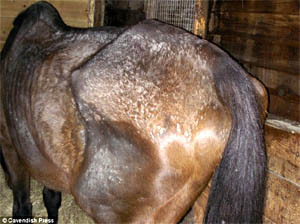 She was treated there for bite wounds to her body and a severe scalp injury, which required several staples. She was released Saturday and is now recovering at home, Roderick said. The younger brother was not bitten, he said. Her parents were at home at the university housing complex, across from the fields, at the time of the attack, Roderick said. The man walking the dogs, who are less than a year old, told police he was a friend of the woman who owns them. He cooperated with police and gave them his information along with the owner's, which allowed police to contact the two on Friday, Roderick said. Over the weekend, the owner decided to surrender the dogs to the Contra Costa County Animal Services Department, where they will be under observation and quarantine through at least the end of this week, Roderick said. The owner lives in Contra Costa County. Animal services will make a decision on the fate of the 50-pound pit bull puppies after the observation period, Roderick said. The dogs, both males who have not been neutered, have no history with animal services and are not known for being vicious, Roderick said. University rules require dogs to be on leashes unless they trained to obey verbal commands, Roderick said. Other than violating that rule, he said, it does not appear there was criminal intent in the attack and no charges have been filed against the owner or her friend. CONNECTICUT -- A 74-year-old Groton man continued to recover from serious dog bites Wednesday at Lawrence & Memorial Hospital, but the dog he was trying to protect died of injuries sustained in the Tuesday morning attack. 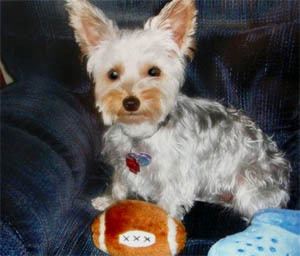 Lorraine Conwell said her husband, Ralph, took their silky terrier, Lacy, out for a walk at Calvin Burrows Field Tuesday morning and was returning to their South Road home when a neighbor’s pit bull broke free from its chain and attacked Ralph and Lacy. Her husband was listed in stable condition Wednesday evening at L&M, a hospital spokesman said. Conwell said her husband managed to grab the pit bull’s chain and wrap it around a post at the ball field, preventing the dog from escaping and possibly attacking others. Conwell said Lacy weighed a little more than 8 pounds and was the “perfect dog.” The dog was taken to Companion Animal Hospital in Groton, where it died Tuesday. Dr. Susan Hall, who treated Lacy, said Lacy had numerous injuries, including a 5-inch-long wound over her spine, bruising on her lungs, a swollen abdomen and a large gash on her thigh. Hall said Lacy needed to undergo surgery, but she was never stable enough, as she was bleeding internally. The family decided to put her down so she wouldn’t have to endure any further suffering. Conwell said the dog’s owner, whom she knew but did not identify, has a second pit bull. She said the pit bull that attacked her husband and dog had attacked them in the past. She said they didn’t notify police because her husband was “too nice” to report it. Detective Cmdr. Lt. John W. Varone of the Groton Town police said the incident is under investigation but did confirm that the pit bull was not roaming. Varone said part of the investigation would include whether the dog has been involved in other incidents. The dog is being kept at the Groton animal control facility. He did not say who owns the pit bull and whether any charges would be filed. The dog’s fate would be decided after the investigation is complete, Varone said. Conwell said the pit bull’s owners have apologized, but for her, it’s a little too late. “My husband is hurt and our beautiful dog is gone,” she said. Conwell said her husband has a long road to recovery. 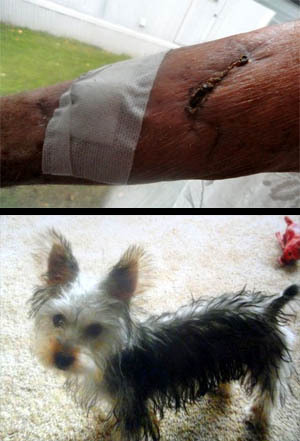 She said his wounds have to remain open because the bacteria from the dog’s saliva could increase the risk of infection. Conwell said Lacy was like family. She used to dress her up in sweaters and night gowns. She even had a little bureau for her clothes. Anyone with information on the attack is asked to call animal control at (860) 441-6709 or the police department at (860) 441-6712. CANADA -- Vicious pit bull attacks on two four-year-olds in separate incidents just days apart in B.C. have prompted the families of the children to call for the province to ban the breed. 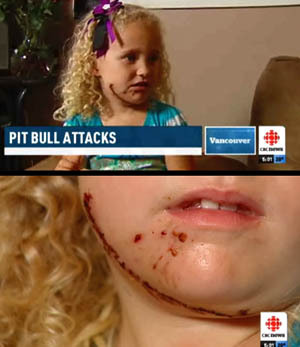 Four-year-old Emma-Leigh Cranford of White Rock had been playing with the pit bull just days before Thursday's attack. But her parents, Elizabeth and Mike Cranford, said the dog pinned her against a fence and bit her face savagely at a barbecue last week. "All I heard was a growl and she was pinned between the bench and the fence, and he was just on top of her and it happened so quick," Elizabeth Cranford told CBC News. "When I had her in my arms, I didn't know if she was dying." The girl was taken to hospital and underwent two hours of surgery to repair a large facial wound. She's recovering at home, but has been left with a bad scar. 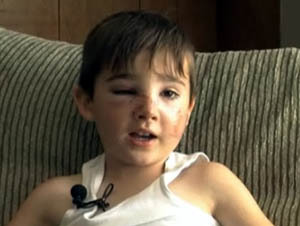 In the other incident, the parents of a Kelowna boy attacked by a pit bull over the weekend also are calling for action to protect children from dangerous dogs. Hayden Bush was set upon by a friend’s dog when he reached to pet the animal. 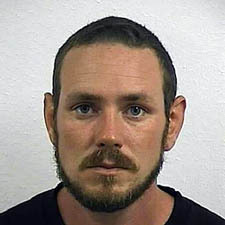 "She chomped his nose and deeply into the muscles of his cheek, and took a secondary bite into his cheek as well," said Jayme Bush, Hayden’s mother. It took 32 stitches to close the boy's wounds. Bush said families need to know how dangerous some dogs can be. "And it's not just the pit bull breeds. It's other vicious dogs," said Bush. The Cranfords say the two-year-old pit bull was put down immediately after the attack, but they don't blame the owner, who they described as a good woman. For years there have been calls for bans on pit bulls, but defenders of the animal say the problem is not the breed itself — it's the owners. Elizabeth Cranford said that until her daughter was attacked, she believed that too. "My brother's friend who owned the dog, she's a good person, not evil, a stable person," she said. The Cranfords now believe the breed is the problem, and are calling on the B.C government to ban pit bulls, as Ontario and Winnipeg have. "When it happened to my daughter, it really hit home," said Mike Cranford. The Cranfords said it's a miracle Emma-Leigh wasn't more traumatized, but they ensure she is not in the room when they talk about what happened, and don't want other children to suffer the same fate, or worse. "We would like to see pit bulls banned and I'm very serious. That is what I would like to see, yup, before it happens ... and somebody else is not so fortunate," said Elizabeth. A recent report in Toronto showed the number of dog bites fell since a pit bull ban was put in place seven years ago, but the Ontario ban is under attack by opponents. NORTH CAROLINA -- Cory Gray, a 24-year-old North Carolina man, is facing animal cruelty charges after he allegedly strangled his girlfriend's pet Chihuahua while she was at school at Cape Fear Community College, the New York Daily News reports. Jenna Branham, of Wilmington, came home from classes on Friday to discover her 2-year-old pup dead. ""I found him there, and I found little Charlie. He just looked like so in pain and so tense, and he just looked so pitiful and helpless," she told local TV station WWAY. Gray, who was arrested on Friday night, was charged with felony cruelty against animals and released on $5,000 bond. The motive for the attack has yet to be released by cops, although a relationship change by Branham from "single" to "in a relationship" on Facebook suggests a possible fight between Gray and Branham. Gray was due to make his first court appearance on Monday, but Branham's family has argued that Gray should be facing harsher punishment. The family has since started a petition to raise awareness about animal cruelty. "If Charlie had been a person, it would be murder, but it's not. It's animal cruelty," Branham's mother, Donna, told WWAY. "It's not animal cruelty. It's animal murder. He murdered this dog." ARIZONA -- A Flagstaff police officer repeatedly struck an injured Sunnyside dog with a baton and stomped its head with his boot, according to an eyewitness who watched the incident at about 2:30 a.m. on August 19. OKLAHOMA -- A metro woman whom police said abused a Chihuahua has been arrested. Officers were called to the home of Lenial Ray Storts, 52, in the 2200 block of Southwest 62nd Street Sunday. Storts was forcibly restraining Kamie Lindsey, 25, police said. Storts told officers Lindsey had picked up his dog and slammed it to the floor. In a police report, the officer noted that the dog was whimpering, appeared to be in shock and was motionless from the neck down. Storts told police he thought his dog was dying. Lindsey was arrested on an animal cruelty charges, as well as an outstanding warrant for prostitution. UPDATE TO STORY: In the September 27, 2013 issue of The Lewiston Sun Journal it noted that "Stacey Monahan, 44, Lewiston, cruelty to animals on Aug. 10, 2012, found guilty, fined $500." MAINE -- A woman accused of dumping four kittens into a trash bin earlier this month was charged Tuesday with criminal cruelty to animals. taking care of one of the kittens that were left in a Dumpster. Stacy Monahan, 43, of Hillside Lane, was charged after Animal Control Officer Wendell Strout interviewed her about the Aug. 12 incident. Three of the four kittens have since died. Strout said the animals were covered in fleas and maggots when they were rescued from the Dumpster near Monahan's home. The surviving kitten, a black and white male, joined a litter of newborns at the Androscoggin Humane Society and has since been adopted. 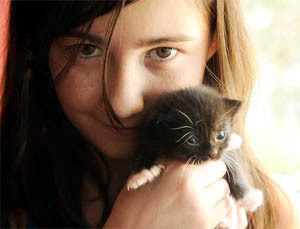 The kitten's name is Scamper and he lives with Laurie Nichols and her daughter Katie at their home in Auburn. On Tuesday, Scamper and his newfound four brothers and sisters were crawling around on the floor, two weeks old and just learning how to walk. After recovering from the ordeal of the Dumpster, Scamper was placed with Moxie, a cat who had just delivered a litter. Moxie and the other kittens were also adopted by Nichols. "She's a good mom," Nichols said. "They're all doing really well." When Nichols adopted the cats, she did not know that Scamper had been rescued from the trash. She and her daughter routinely serve as foster parents for litters of kittens, caring for them until they are old enough to be put up for adoption. She suspects that when the time comes, Scamper will be adopted right away. Two of the kittens pulled from the trash bin died shortly after they were taken to the shelter. The third died later, after the story of the dumped kittens made the news, according to Zachary Black, operations manager at the Humane Society. To look at Scamper on Tuesday, there was no sign that he had been near death after being dumped into the trash in hot, August weather. Strout said he interviewed Monahan after a pair of witnesses indicated she might be responsible for dumping the kittens. Monahan admitted to it, Strout said, although her reasons remained unclear. Nichols, watching the kittens walk across her living room floor on tiny, trembling legs, said she doesn't really care what Monahan's explanation might be. Dumping animals and leaving them to suffer and die, she said, is inexcusable under any circumstances. "Anyone with an adult thought process," she said, "should be able to understand that there are better options." A judge on Wednesday morning issued an arrest warrant for a Lewiston woman accused of dumping four kittens in a trash bin last summer. 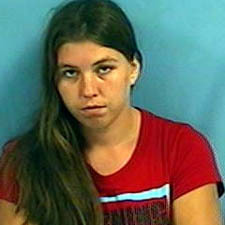 The warrant charges Stacy Monahan with animal cruelty. The judge issued the warrant because prosecutors could not prove that Monahan had been served with a summons. Monahan did not show up at a court proceeding Wednesday in Lewiston District court. In the September 27, 2013 issue of The Lewiston Journal it noted that "Stacey Monahan, 44, Lewiston, cruelty to animals on Aug. 10, 2012, found guilty, fined $500." WASHINGTON -- Two dogs that Everett had already declared potentially dangerous escaped over the weekend, bit at least five people and killed a cat. One dog died after an officer used a Taser on it. The second dog is in the custody of animal control. 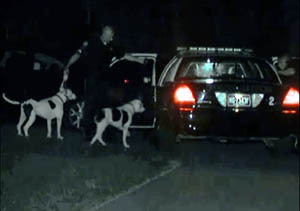 Everett police say officers first got word of the dogs just after 6:30 a.m. Saturday. A 44-year-old man was walking the 1300 block of Lombard Avenue when the two dogs crossed the street and attacked him. The dogs bit him on the legs and back, but a passer-by managed to scare the dogs off. "They had him down and you could see they had ripped open his back and they had a hold of his legs. They were trying to drag him off..."
The man was taken to a hospital. Then an Everett officer was bit when he tried to get the dogs into his patrol car. He used a Taser, and the dogs ran away. Police got a report that the dogs bit a 27-year-old woman as she got out of her car a work. Police say the woman tried to get away from the dogs, but that they followed her and attacked. Officers resorted to using ther public-address system to warn people in the neighborhood about the dogs. Officers managed to find one dog, a pit bull terrier, in the 1500 block of Grand Avenue and used a Taser on it. The dog died as officers tried to restrain it. 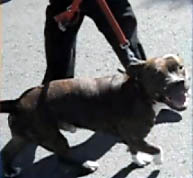 The other dog, a boxer, returned to its home in the 1700 block of Lombard, where police talked to the owners. Reports of other victims continued to come in. A 44-year-old man walked to Providence Medical Center after he was attacked. He had been sleeping in the 1800 block of Broadway, where the dogs attacked his feet. Police say he scared the dogs away by yelling and swinging his backpack at them. Still, the dogs bit through his shoes. And a 54-year-old Everett woman told police that the dogs attacker her in her driveway. She managed to frighten the dogs by shouting and waving her arms. After the dogs ran away, she saw punctures in her pants but hadn't been injured. Police say the dogs, the female pit bull terrier named "Mia" and the female boxer named "Jewels," have what authorities call "a history." Everett Animal Services declared them potentially dangerous dogs in August 2011 [after they attacked a boy on a skateboard]. Police say no charges have been filed against the owners of the dogs, but that officers continue to investigate. NEW YORK -- Two neglected dogs were removed from a Verona home Sunday and their owner arrested. Oneida County Sheriff’s deputies arrested 48-year-old Bridget LaClaire at her Route 365 home in Verona after receiving an animal cruelty report. A white pit bull named Sapphire was found in the resident’s yard, chained to a tree. A choke collar around the dog’s neck was so tight it tore into the dog’s neck. The dog was left unattended, allowing flies and maggots to get into the wound. Deputies used bolt cutters to free the dog. A Husky breed named Sunday was also found at the residence. Both were left outside with no food or water. Dog Warden Sue Gardinier took custody of both animals and transported the pit bull to the Village Vet in Wampsville for treatment. 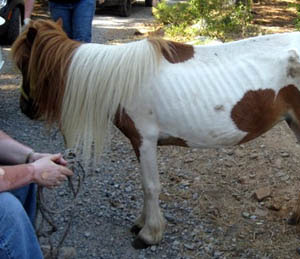 LaClaire was charged under New York Agriculture and Markets Law with failing to provide proper sustenance to the animals. The charge is considered a class A misdemeanor and could carry, at most, a one-year prison sentence. She is scheduled to appear in Verona Town Court in September. Oklahoma: Anne Marie Duhon and Shane Duhon said they were running a rescue called "Cajun Country Animal Rescue". 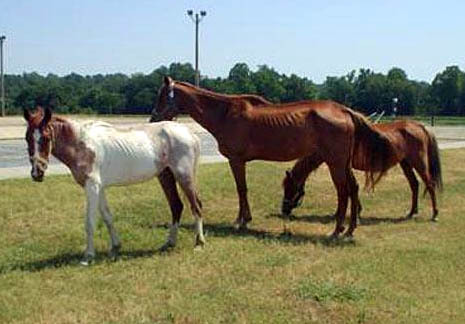 Instead, they hoarded nearly 100 animals and starved them to death. Today the plead guilty to animal cruelty and child abuse. 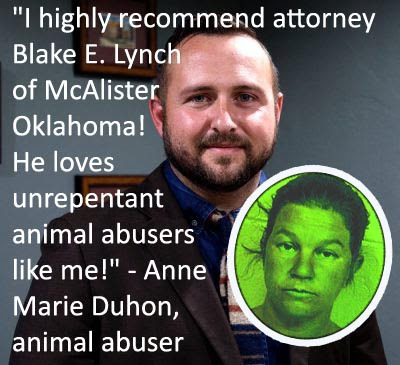 OKLAHOMA -- Anne Marie and Shane Duhon, former operators of Cajun Country Animal Rescue each entered a plea of guilty to cruelty to animals and child abuse in the District Court of Latimer County, OK today. The charges stemmed from the seizure of 93 emaciated animals at the private organization run by the couple. 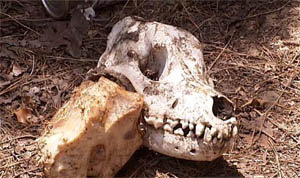 Animals on the site were housed in filthy conditions; they were covered in parasites and most had no water despite temperatures of over 100 degrees. According to a statement made in the first hearing, the only dog that had food in its bowl was already dead. Because the prohibition against animal ownership is tied to child abuse, the Duhons could face life imprisonment if caught in possession of a pet. The judge admonished Duhons not to even violate the prohibition by getting a parakeet. District Attorney Jeff Smith and defense attorneys Blake Lynch and Joe Layden created the plea which places the Duhons under supervised parole for one year and places the safety of the animals at the forefront. WITHOUT MENTAL HEALTH INTERVENTION, THE RECIDIVISM RATE FOR HOARDING IS 100%. 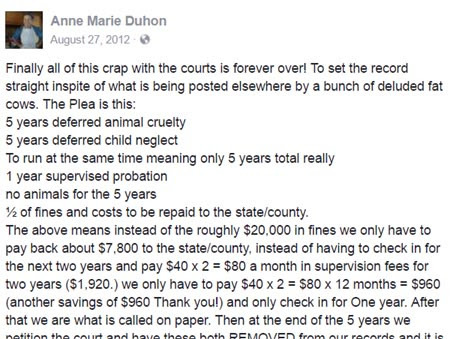 ANNE MARIE DUHON FITS THE PROFILE OF THE HOARDER IN COMPLETE DENIAL. The above means instead of the roughly $20,000 in fines we only have to pay back about $7,800 to the state/county, instead of having to check in for the next two years and pay $40 x 2 = $80 a month in supervision fees for two years ($1,920.) we only have to pay $40 x 2 = $80 x 12 months = $960 (another savings of $960 Thank you!) and only check in for One year. After that we are what is called on paper. Then at the end of the 5 years we petition the court and have these both REMOVED from our records and it is like it never even happened. And on August 29, 2017 if the world does not end first we will be out getting a herd of animals and not a thing they can do about it with all the money we have saved from not having to pay all those fines! She is gloating that the charges will be listed on her criminal record as dismissed. She thinks it's because the state had a weak case. This is not true. Typically people who don't have lengthy criminal records are given this. Also, it's typical plea offer when the defendant refuses to surrender the animals. The animals are running up a bill at the local shelter/rescue and also taking up space so they'll offer a better deal in an effort to get the animals surrendered right then and there rather than drag it out another 2 years for trial. It had nothing to do with what she thinks is her innocence. If she wasn't guilty, her attorney would have been successful in throwing ALL the charges out. So on that note I want to take a moment to THANK Caryn Hass-Bearden, her daughter Candy McCulley and all their friends for this sweetheart of a deal without your big mouths we would have gotten a much stiffer penalty or possibly jail time and been out a LOT more money. Now I am going to take their “statement” copied from the “hate” page and tear it to ribbons My comments will be Italicized. Note: None of these comments are appearing as "italicized" on Facebook. 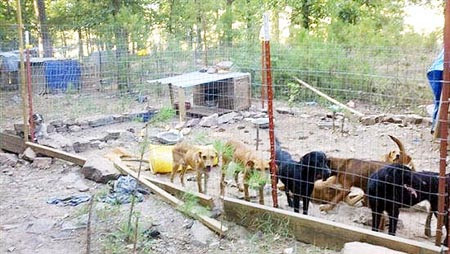 In July, 2011 93 animals were seized from the property of Anne Marie and Shane Duhon, aka, Cajun Country Rescue. The animals were emaciated and crawling in parasites. 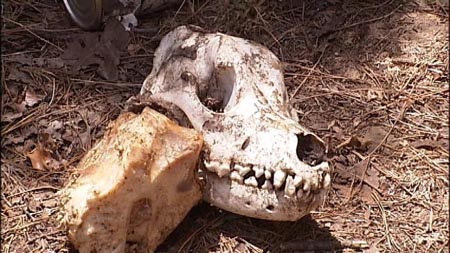 Animal remains were scattered throughout the property. Over 600 photos and videos, combined with years of complaints to law enforcement agencies, show the extent of the suffering. They show those that survived and those that did not. The raid like it really matters happened in June June 29, 2011 to be exact. 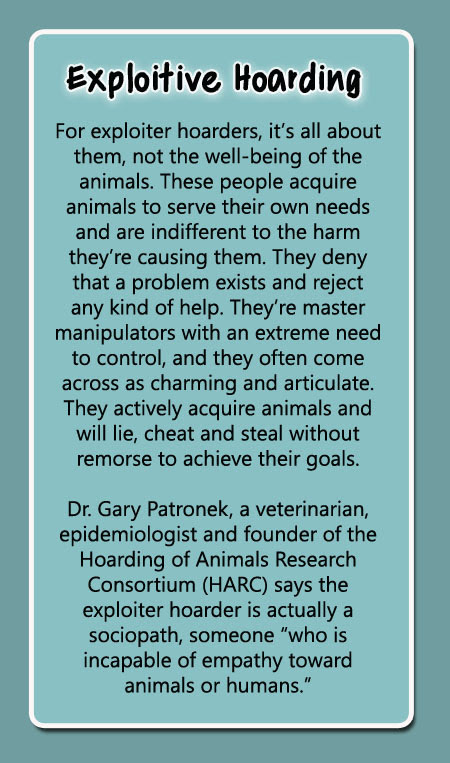 There has never been turned over any documentation to ANYONE that the animals were “crawling in parasites or emaciated” even tho those comments have been said by many there are no vet records presented as evidence to substantiate that claim. There were only 250 photos turned over not 600 as claimed any other pictures were inadmissible. The only “remains” were the bones from the slaughterhouse that were gotten weekly to supplement the dogs diet with raw meat. There are no records of any other complaints and it was even said during the preliminary by Dept Landon Dye that there was a file but it was lost. So there is no evidence to support this claim that there were years of complaints filed. We never received any visits from any officer or animal control prior to April 2011 when Caryn and her cronies started the concentrated attack on my rescue and me via the internet and drivebys. She even sanctioned illegal activities to fabricate “proof “ that I was abusing animals by having people trespass on my land, drop off emaciated dogs days before the raid that she had instigated, post lies and slander on the net and numerous other shady activities to have us arrested and destroyed. Now defense attorney Blake E Lynch, of McAlister OK wants an agreement that gets all cruelty charges against the Duhons dismissed. And the District Attorney has indicated he may agree. The animals need protection. I'll bet Lynch is regretting ever getting saddled with this woman. Tell District Attorney Jeff Smith that it is urgent that animal cruelty charges against the Duhons are not dropped. There was/is ample evidence of long term cruelty in order to move forward. There are good records and several years of complaints. We want a trial or a plea that includes a conviction for cruelty with a deferred sentence with no animals throughout the time of the sentence. Oh she got what she wanted in NAME only! I really hope that makes her happy. I know she is going to be reading this along with all of the others that wanted to see us hang and I hope you stop patting yourself on the back for just a minute and really think about what your bitching and complaining to the DA really did. Reread the plea and THINK about it. And since I know you all did not stop congratulating yourselves to figure this out our plea unless WE break the law is set in stone and there is not a DAMN thing you can do now. Again I want to THANK YOU for saving us so much time and money! Please call District Attorney Jeff Smith at 918-647-0462 and tell him that whether or not the Duhon’s have a deferred sentence, you do not want the cruelty charges dropped. Let his office know if you are a registered voter or business owner in Leflore or Latimer County. If you are member of any local business organization or Chamber of Commerce please let his office know that. Please share this information! this is a veiled threat towards the DA since he is an elected official. And a ballless one it seems since this small threat changed our agreed apon deal. I wonder how many other deals were made for defendants/plaintiffs and threats like this had them changed? I know that this is the SECOND time Jeff Smith has caved on our case alone due to threats. With a DA as spineless as he is he does need to be booted out of office! She clearly doesn't have a clue what she's talking about. She took a guilty plea for animal cruelty. If the state didn't have a case, why did she plead guilty? Based on her lengthy diatribe, she will abuse animals again. Guaranteed. 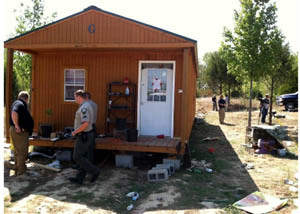 Oklahoma: "Cajun Country Animal Rescue Ranch" raided by police. 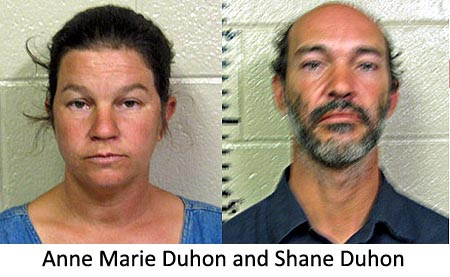 Anne Duhon and Shane Duhon arrested after starving and dead animals found everywhere. Oklahoma: Anne Marie Duhon and Shane Duhon, operators of a rescue called "Cajun Country Animal Rescue", say they're confident the animal cruelty charges will be dropped and they plan on re-opening their rescue. UNITED KINGDOM -- A father of three says he has suffered a ‘year of hell’ after he was attacked by a dog. Denis Rolls spoke about his ordeal after Marleen Sanderson, who was responsible for the labrador dog at the time, was sentenced by Weymouth magistrates. She was ordered to pay £2,200 in compensation and costs. Mr Rolls, an avid amateur saxophonist from Weymouth, said: “My finger was bitten through the bone and all the insides were gone. It was hanging on by a piece of skin. He added: “My son Madison, who was six, was with me when it happened. “It was awful for him to see, he has nightmares and won’t leave the house if there’s a dog outside. It’s really shaken his confidence. The retired driving instructor, who has two other children, was advised by surgeons to have his little finger amputated but said he fought against it because of his love of saxophone playing. Mr Rolls, of Reedling Close, Weymouth, said: “I had to battle the surgeons to save my finger. “They were furious anyone could go through what I have bec-ause of a dog being off the lead. He added: “Now I know why they were against it, cosmetically I’ve got a finger but I can’t use it. “It hurts whenever I move it and I won’t be able to play saxophone again. “I was in and out of Salisbury Hospital about 25 times within a few months. Mr Rolls said: “The woman walking the dog was right there but she didn’t even say sorry – I’ve never had an apology. She wouldn’t even put the dog on the lead afterwards, and this was next to a children’s playground with my little son right there. Sorry for the graphic pics, but it tells the story better. Our jack Russell got into it with my year old lab. Rather than have a dead jack I intervened, (misteaks) she was in a different place in her mind, bit me to the point of canines about an inch deep in 4 places. The jack Russell did all the biting on me. I am buying a co2 extinguisher, sounds like an awesome idea. It will be a week before I can move my wrist! Hope this convinces some people to stay out of it. NEW JERSEY -- Two Rottweilers died today after their owner left the dogs in a Dodge pickup for over an hour where they succumbed to heat exhaustion, authorities said. Monmouth County SPCA police chief Victor "Buddy" Amato said the two dogs, Maximus and Joey, were left outside of MJ's Pizza Bar and Grill on Route 66 in Neptune, while their owner, Charles Loguidice ate inside. The two animals, each weighing about 115 pounds each, were found dead shortly before 5 p.m.
"He claims he went into the restaurant and periodically pointed his remote control start at the car, thinking that the car was going to start and the air conditioning was going to go on," Amato said. But Amato said Loguidice's story had several inconsistencies. "He claimed that one (dog) hit the thermostat dial and it went from air conditioning to defrost," Amato said, adding if that was the case, the air still would have been cool. Loguidice, 48, also said he was only in the restaurant for a half hour, but surveillance footage from the eatery showed it was closer to an hour. Regardless, Amato said, "He left those dogs unattended when he was in the restaurant eating." With temperatures outside approaching 90 degrees, Amato estimated the temperature in the pickup exceeded 100 degrees. The Freehold township man was charged with two counts of animal cruelty and could face six months in prison for each charge as well as thousands of dollars in fines. "He's gotta live with this. There's no doubt in my mind he's upset about it," Amato said. "But it was a stupid act." UNITED KINGDOM -- A foal that was left for dead after being savaged by a Staffordshire bull terrier has won a prize in a national riding contest following a miraculous recovery. Neglected Bertie was just eight months old when he was attacked by his owner's dog in the field he lived on with his emaciated mother, Kiwi. 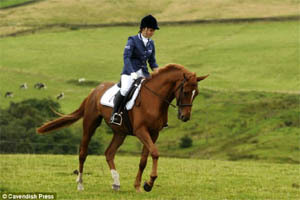 The young horse sustained serious wounds and developed blood poisoning after being mauled by the vicious dog, but his callous owner simply left the chestnut warmblood cross to suffer rather than calling a vet. By the time Bertie was rescued by animal welfare investigators his injuries were so serious a vet was on the brink of putting him down - but changed his mind at the last minute to avoid upsetting a child that was on the site. Instead Bertie and his mother Kiwi - who was by then so thin her ribs were protruding dangerously - were taken to Shores Hey Farm rescue centre in Briercliffe, Lancashire, where they began a remarkable four-year journey back to health. Now plucky Bertie has rewarded his new masters by winning a rosette at Equifest - a national competition for rescue horses. 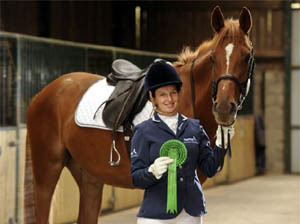 Equine and data services manager Amanda Berry said staff from Shores Hey cried 'tears of joy' when Bertie took fourth place in the competition, ridden by 21-year-old rescue centre worker Daisy Shufflebottom. 'We're all so delighted with Bertie and how far he has come since the attack,' she said. Bertie was still suckling from his dangerously underweight mother Kiwi when he was rescued from a farm in Whalley, Lancashire, in December 2008, after members of the public reported the dog attack. 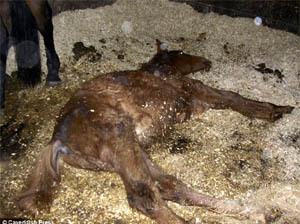 Animal welfare investigators feared the foal was close to death when they found him unable to stand, with several wounds, a low body temperature and a rapid heart rate. Later farmer Simon Fielding who owned the two horses and the dog was banned from keeping horses and ponies for ten years and ordered to pay £9,000 in legal costs after a landmark prosecution by equine charity the Horse and Pony Protection Association. 'Bertie was found by one of our welfare officers savaged by a dog and his mother was a pathetic mess - she was so skinny and still feeding Bertie so all of her nutrients were going to him,' Amanda said. 'We were called to the farm by members of the public who reported the attack and we found both Bertie and his mum were left for dead. 'The mother was so thin - it was shocking really. Everything she had she was giving to him because he was still suckling. The carers who nursed him say that he’s a miracle because septicemia had set in and he collapsed. It took eight hours of struggling before the vet was able to get Bertie into the trailer and supported by slings, but the resilient foal survived the critical first 24 hours after his rescue. Amanda explained how there is a danger of horses' lungs giving up if they lie down for long periods of time. 'The slings were helping to support him and we had them in for weeks,' she said. Shores Hey worker Daisy Shufflebottom took over Bertie's training this spring, and his speedy progress has confounded staff at the rescue centre. 'Within just three weeks he was walking, trotting and cantering around our arena, which is amazing,' said Amanda. Despite being one of the worst cases the rescue centre has ever dealt with, Bertie has flourished to become a thriving and much-loved member of the Shores Hey family.